ITA: FREE TRIALS start this week! Hurry to register! 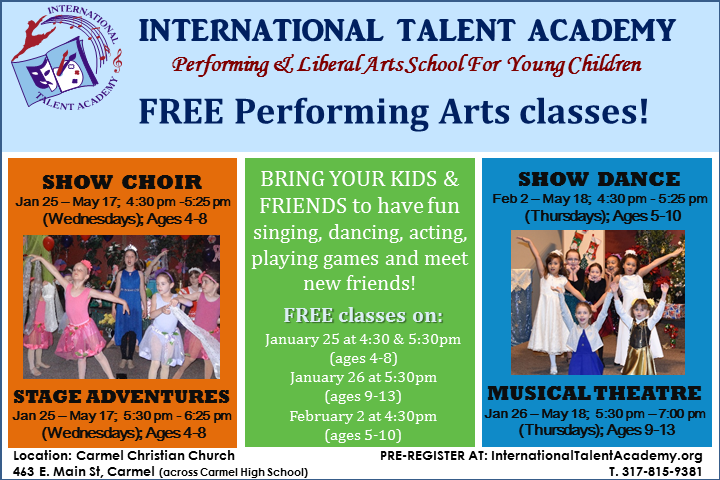 Try popular threatre, dance and show choir classes for FREE , bring your friends to have fun! Bring your friends to have more fun! FREE Trial Classes start THIS WEEK!